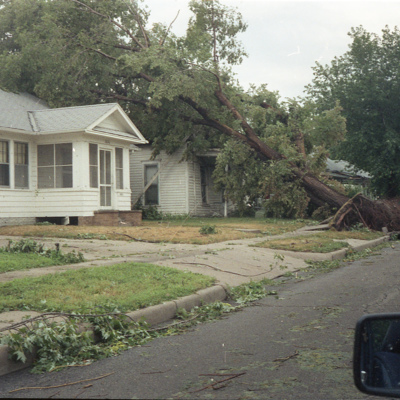 Photographs of the damage from the 1988 tornado in Council Bluffs, Iowa. 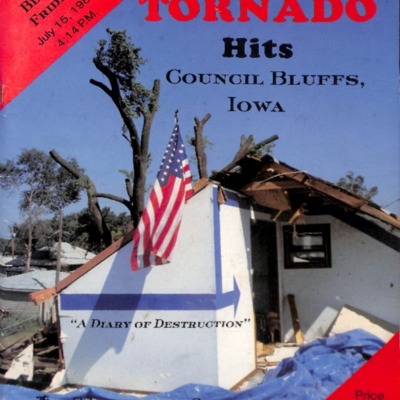 Tornado hits Council Bluffs, Iowa : Black Friday, July 15, l988, 4:14 p.m. : a diary of destruction. 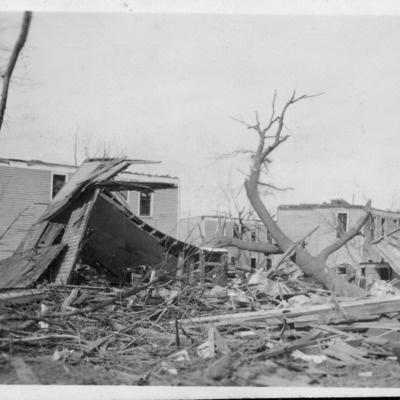 Four photographs showing damage after a tornado. 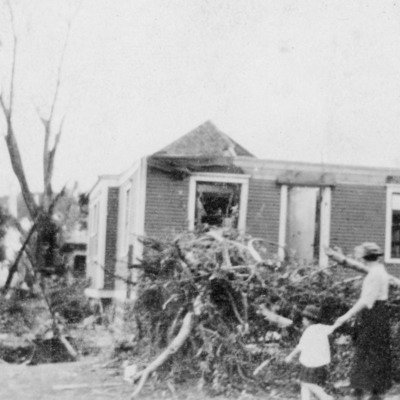 Reproduction of a photograph of tornado damage on Tostevin Avenue, Sept. 28, 1923. 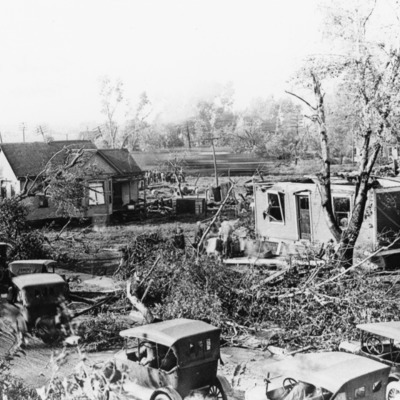 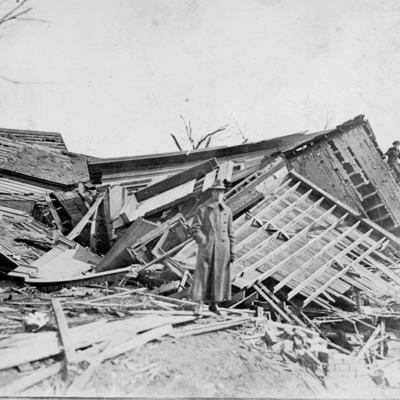 Photograph showing damage in Omaha after the 1913 tornado. 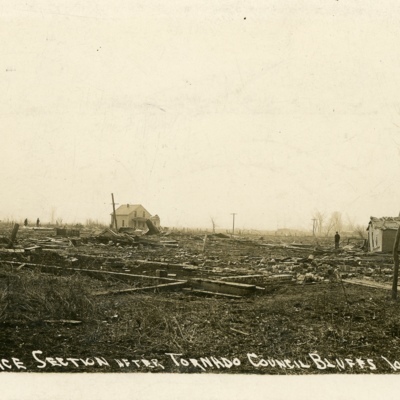 12 photographs showing damage from the March 1913 tornado. 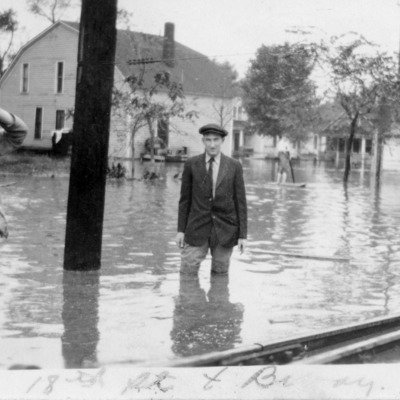 Also includes 2 photographs of Lake Manawa. 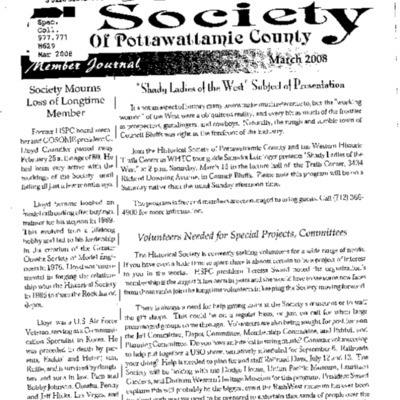 March 2008 Historical Society newsletter. 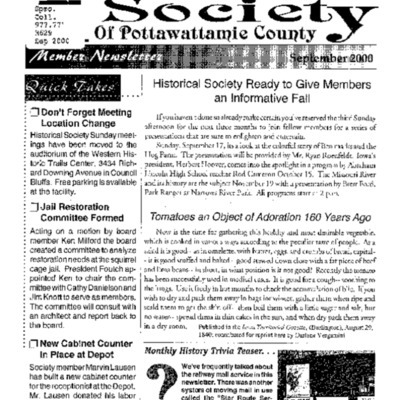 September 2000 Historical Society newsletter. 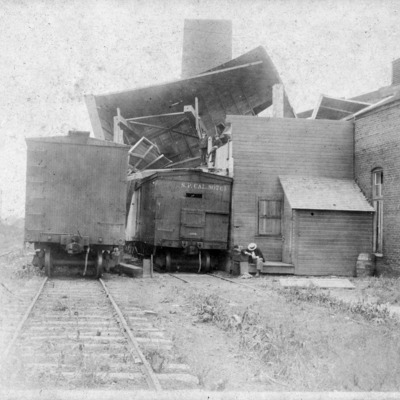 Photograph of the Old Power House, 29th Street and 1st Avenue, after tornado.